The cost for bringing new medicine from discovery to market has nearly doubled in the last decade and has now reached $2.6 billion. There is an urgent need to make drug development less time-consuming and less costly. 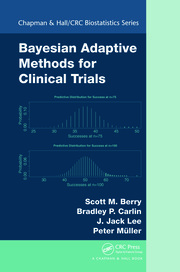 Innovative trial designs/analyses such as the Bayesian approach are essential to meet this need. 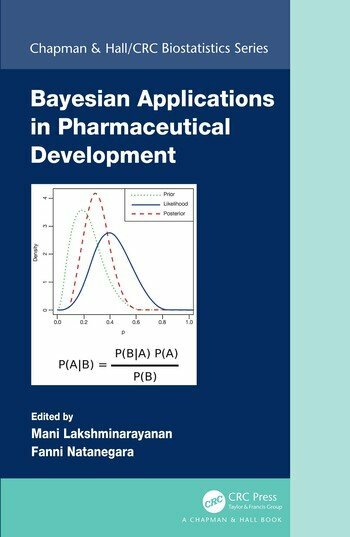 This book will be the first to provide comprehensive coverage of Bayesian applications across the span of drug development, from discovery, to clinical trial, to manufacturing with practical examples. Dr. Mani Lakshminarayanan is currently working as Vice-President, Clinical and Database Studies at Complete Health Economics Outcomes and Research Solutions (CHEORS). He has over 30 years of experience in the pharmaceutical industry. He has volunteered his time to the American Statistical Association (ASA) in various positions and to the DIA Bayesian Scientific Working Group (BSWG). He has a PhD in Statistics from Southern Methodist University, Dallas, Texas and is an ASA Fellow. Dr. Fanni Natanegara has over 15 years of pharmaceutical experience and is currently Principal Research Scientist and Group Leader for the Early Phase Neuroscience Statistics team at Eli Lilly and Company. She played a key role in the Advanced Analytics team to provide Bayesian education and statistical consultation at Eli Lilly. 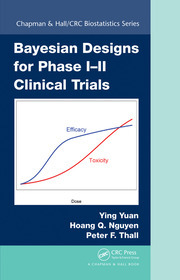 Dr. Natanegara is the chair of the cross industry-regulatory-academic DIA BSWG to ensure that Bayesian methods are appropriately utilized for design and analysis throughout the drug-development process.